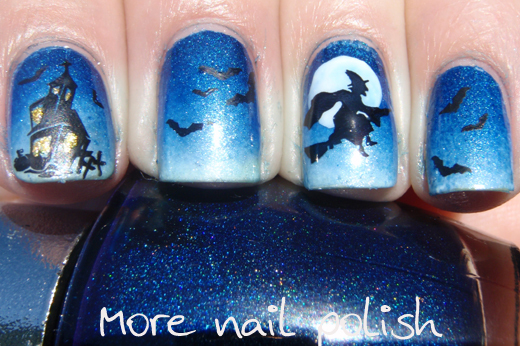 The theme for today in the 'This is Halloween Nail Art Challenge' is Witches, or in my case the singular - Witch. Here she is leaving her house for the evening, the bats flying in the approaching dark sky. I started with a base of Ulta3 Lily White, then did a gradient using OPI DS Fantasy, Kleancolor Metallic Sapphire and Ulta 3 Razzle. 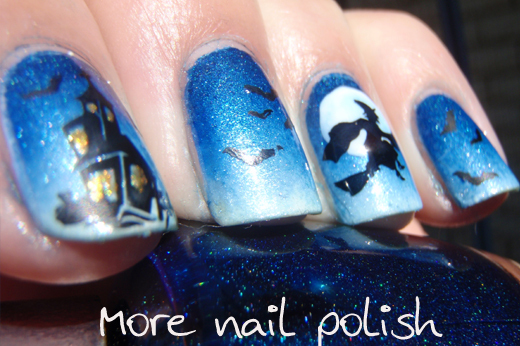 I added the moon with a dot from the back of one of my nail art brushes and made it a little bigger with the brush. 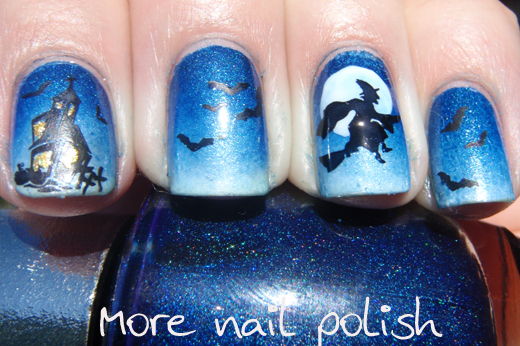 For the stamping, I used BM13 for the witch, BM305 for the house with little bats and BM213 for the other bats - wow I used a plate from each on the Bundle Monster sets for this mani. For the final little touch, I added some little gold highlights using Kleancolor Metallic Yellow to the house windows. Cathy, this is AWESOME! I love it so much! Very clever and so unique in appearance. gorgeous! All I can say is wow! I LOVE this! Wish I had that witch plate but I don't have the first BM set :( Very creative! WOW! You are so creative!! 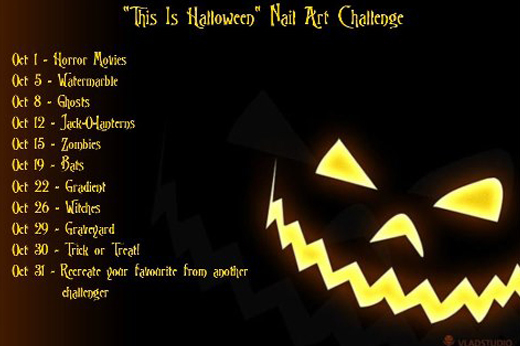 I love all of your challenge manis! These are incredible! Bravo to you! 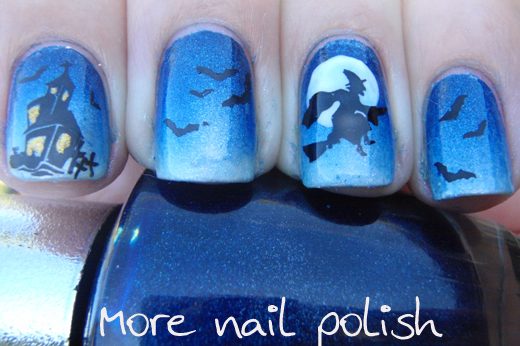 Love this manicure, so neat and pretty! You do such a good job! I hope I can be that good eventually! Nicely done! 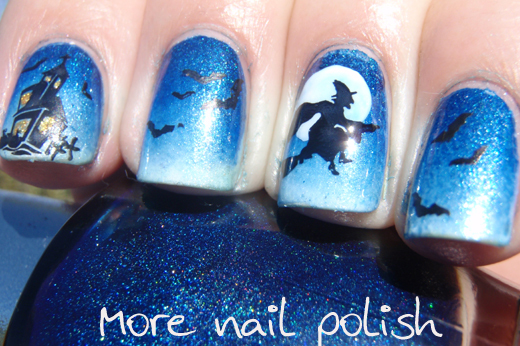 I also thought they were decals at first and I have used the bat stamp before. I had to really look to tell it was a stamp. Love the choice of blue.